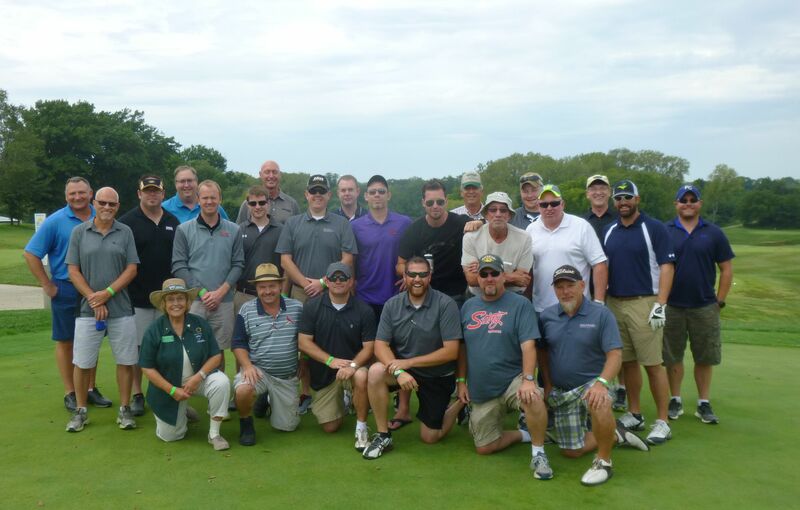 When we gathered in Boonville on September 16, it looked like we were going to have a beautiful day to play golf and raise some funds for our scholarship program. However, about half way through, the bottom fell out and it poured. All but two teams made for the clubhouse where they spent the next hour or so swapping stories, playing cards, sharing some laughs and building an appetite for a wonderful steak dinner. The two teams who braved the weather and completed the course were named the winners. The first place team, with a score of 68, was Zach Morehead and Mike Brown from SITECH Central, and Matt Kujath and Jack Watson from Winter-Dent & Company. The second place team, with a score of 70, was Travis Gentry with Foley Equipment, Jeff Lance with Lance Construction, Tom Lawlor with Lawlor Construction, and Travis Milne with Milne Farms. The winner of the longest drive was Shane McQuerry with Brinton Construction and the winner for closest to the pin was Travis Milne. We want to offer our very special “THANK YOU” to Foley Equipment, Prins Insurance, Winter-Dent & Company, Missouri One Call System, and United Fire Group for sponsoring the tournament, the beverage cart, and our meals. We also want to thank Precision Intakes, SITECH Central, IronPlanet, Springfield Plastics, Hickenbottom, and Prinsco for sponsoring tees and greens. And, thanks to the photographic talents of Chris Brauer, we have a wonderful record of the day’s fun which you can see below.